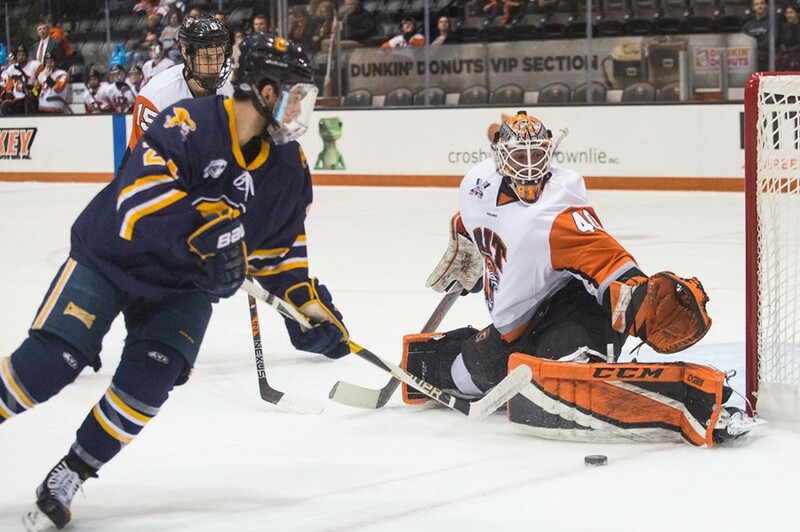 RIT Men's and Women's Hockey games offer a fun, entertaining, and low cost weekend activity that the whole family can enjoy. Get up close and personal with the players during the game at the free Virtual Reality Experience. Learn how the ice is painted, hang out with players in the locker room, and skate onto the ice in front of thousands of fans. Game tickets range from $5-$35 and can be purchased at RITtickets.com, at the Box Office, or by calling 475-4121.